We are confident our solid core Premier range of stair rods are the finest available anywhere in the world. 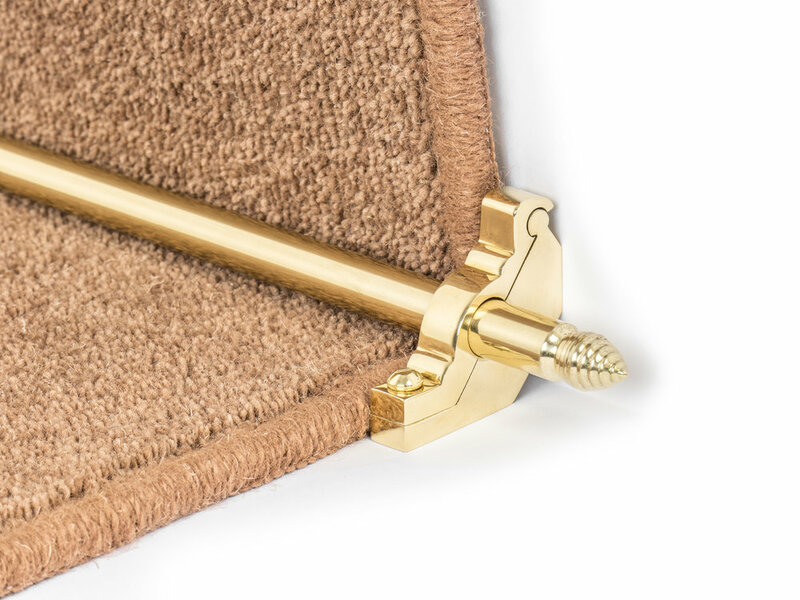 Our Premier range stair rods are the epitome of quality and style, they are manufactured using traditional methods, the finial is an integral part of the rod having been formed by hand individual on a lathe meaning every rod is one piece, made to measure and unique. Finials: Balmoral, Chatsworth, Hanover, Lancaster, Windsor or Woburn.